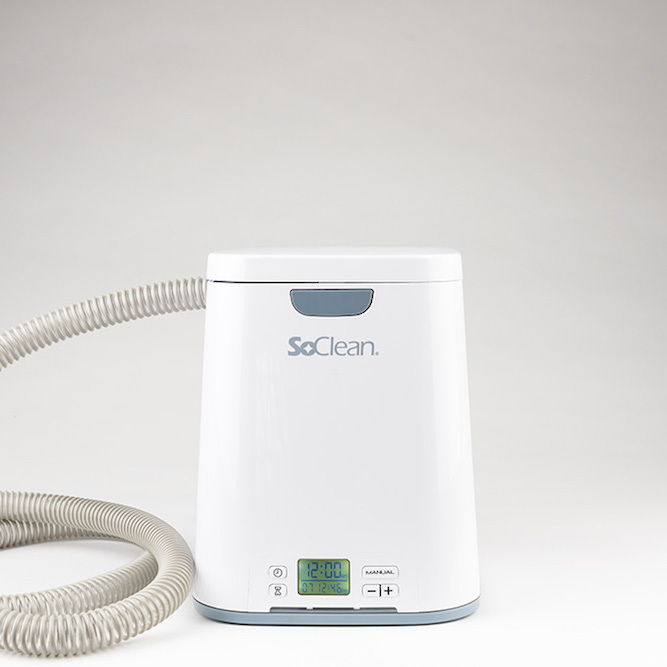 The SoClean 2 is an automated CPAP equipment cleaner and sanitizer. 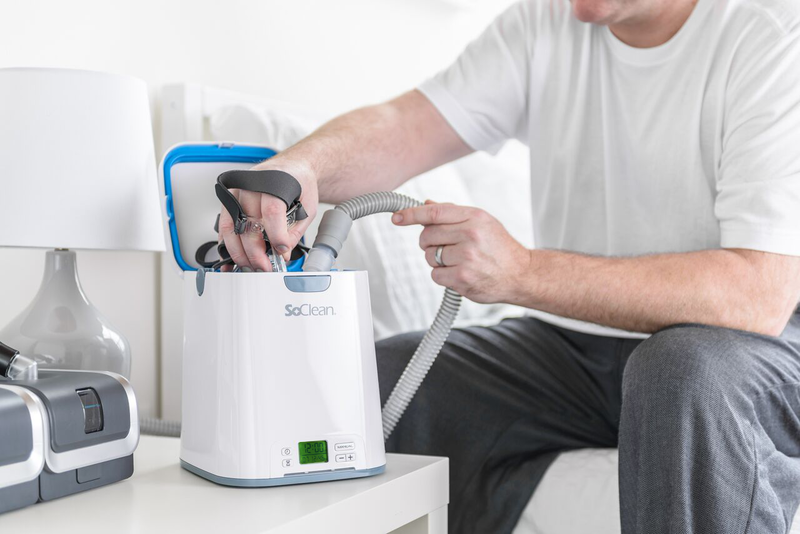 With the SoClean 2 CPAP cleaning machine, you can sanitize and disinfect your CPAP mask, hose, and reservoir without needing to take any pieces apart every day. The machine does not require water or any messy chemicals in order to avoid condensation and ensure your equipment remains completely dry. Included with your SoClean purchase is: Small Bottle Pre-Wash (prior to first use), Cartridge Filter, Check Valve Assembly, 1 Slot Plug, and AC Power Adapter. The inside chamber was designed specifically so multiple mask types can be used within the SoClean CPAP cleaning unit, from nasal pillow masks to full CPAP masks. 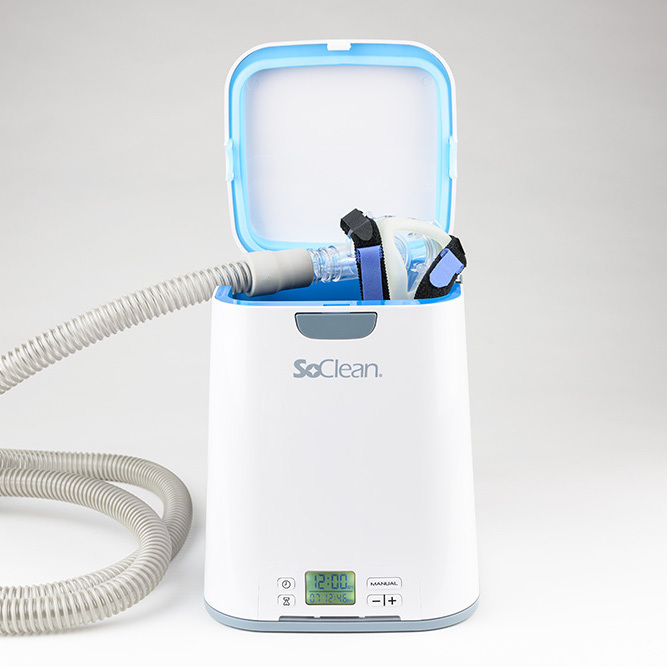 The SoClean CPAP sanitizer uses a universal fitting to integrate into an array of home CPAP models. Some CPAP models that use a heated hose will need an adapter to maintain the heated hose function. ResMed S9, ResMed Airsense 10, Philips Respironics, Fisher & Paykel ICON™, or a Fisher & Paykel 600. If you are unsure which adapter you may need, please contact us. *CPAP sanitizing capability based on controlled conditions. Actual results may vary. See lab results here.